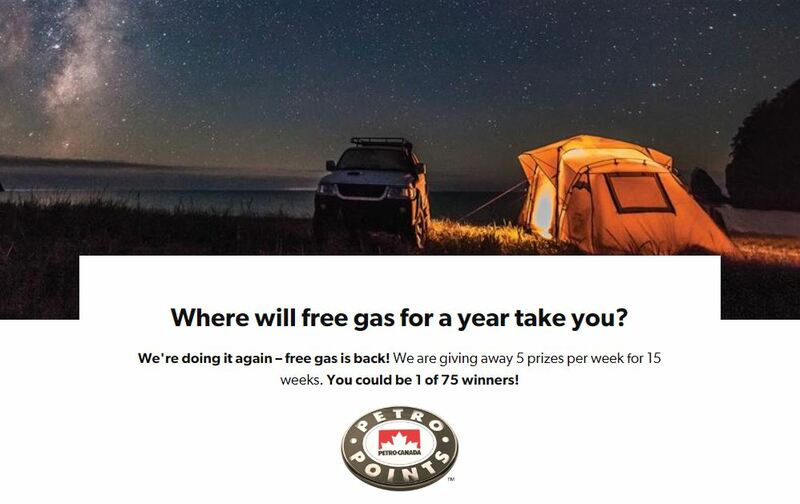 Enter the Petro-Canada Free Gas for a Year Contest 2019 to get a chance to Win 1 of 75 prizes of free gas. To enter you have to be a member of the Petro-Points rewards program, click here to join if you haven’t already, once you get your card, visit any Petro-Canada location and swipe your member card to automatically get an entry to the weekly draw. Contest ends on July 1, 2019. Winners will be selected by random draw from all eligible entries received during the contest period. There are 75 prizes available, each consists of "Free gas for a year" consisting of $2,475 in Petro-Canada gift cards. The Petro-Canada Free Gas for a Year Contest 2019 begins on March 19, 2019 and ends on July 1, 2019. There will be weekly draws between March 19, 29019 and June 25, 2019. Winners will be contacted by email or phone.